Among the group of Illinois Republicans fighting back against the recent legislation that funds abortions through taxpayer money is local State Representative C.D. Davidsmeyer. 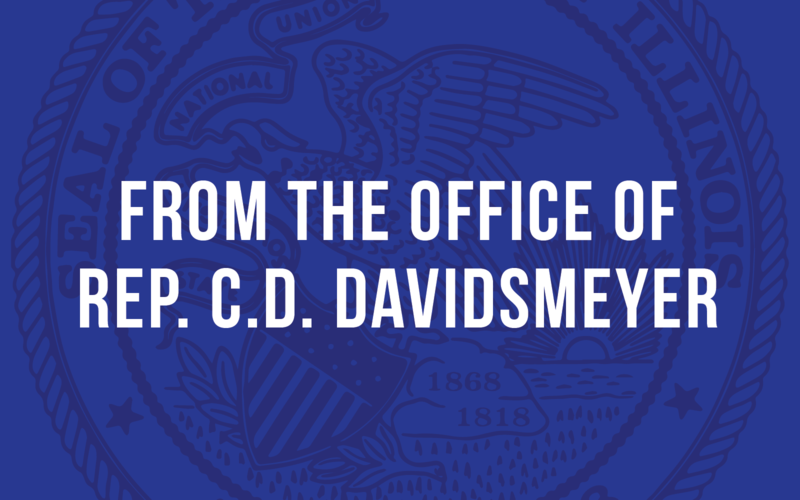 On Friday, Davidsmeyer and colleagues of his party filed the “No Taxpayer Funding for Abortion Act” in an attempt to repeal House Bill 40 and disallow taxpayer-paid elective abortion in Illinois. Davidsmeyer explains what House Bill 40 did for Illinois, and why he and his colleagues are now filing this bill. “House Bill 40 that was recently signed into law made us the first state in the nation that has a law that says the state will pay for abortions. The reality, whether you’re pro-life or pro-choice, is that we all know the state of Illinois is broke. Over seventy percent of the citizens of the state of Illinois have said that taxpayers should not be funding abortion, the state should not be paying for it. So that’s what this bill does; it reverses (a portion of House Bill 40) and takes it back to what we were about a month ago,” says Davidsmeyer. The Jacksonville-based Representative says he objects to taxpayer-funded abortions not just morally, but also financially.